This music fountain is developed on the basis of program-control fountain and is equipped with music control system. In this system, the computer firstly identifies audio frequency and the MIDI signal, and then converts it into instructions and output it to control system to command the water performance and lights. Our water fountain of music can combine water spray and music together. 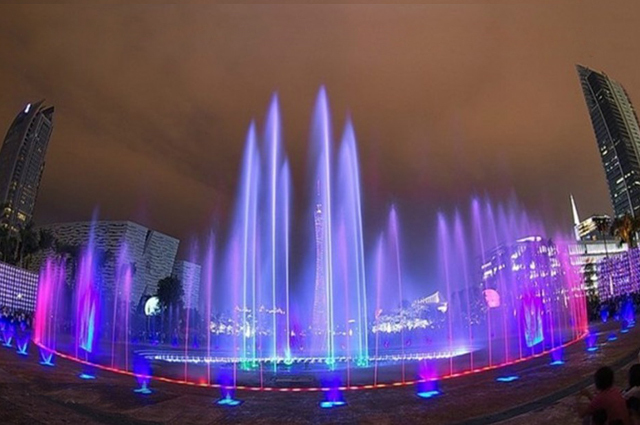 The phantasmagoric water features and colorful lights can fully express the music spirits. It looks like the water is dancing with the rhythm and beat of the music. 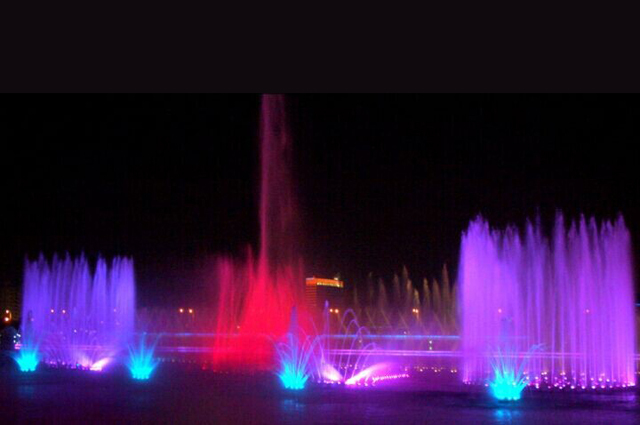 So it is also called as dancing fountain. 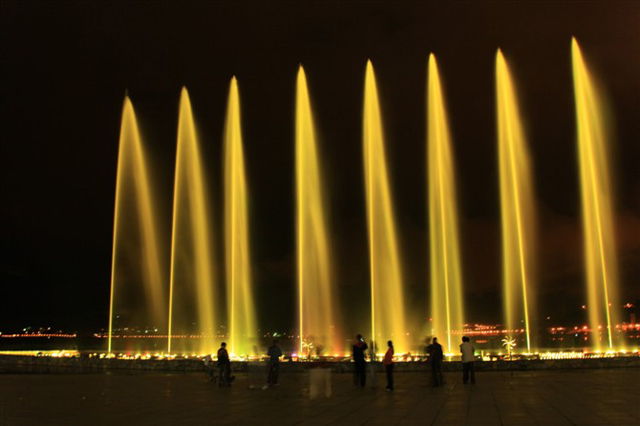 The music fountain is designed, manufactured and installed according to your needs. Its music and water flow have the same rhythm. This water fountain of music is mainly located in children parks, amusement center, lawns and hotels. With the support of technology, the water height can reach to 100 meters, even in wide water area such as rivers and lakes. Our company offers many shapes. The computer can identify, decode and encode the audio frequency and MIDI signal. 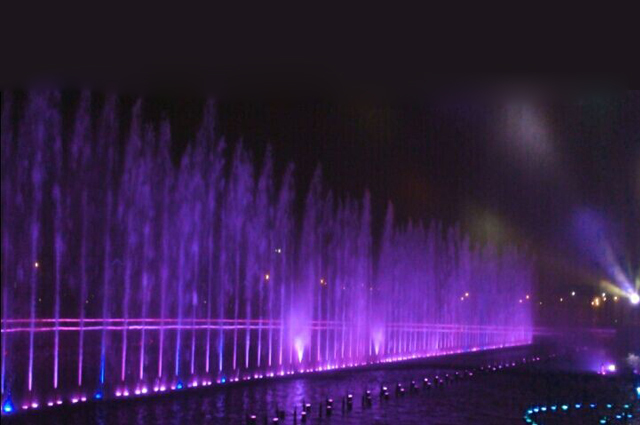 In this way, music, water flow and fountain lights can be synchronized. Besides that, there are two control modes designed for the music fountain, PLC and multimedia. And you can compile your own music programs with the multimedia control modes. 1. Water fountain of music is designed based on ever-changing water shapes. 2. Colorful phototherapy lighting is equipped. 3. Its water spray is in accordance with the music rhythm. 4. It can fully express the content of music and music theme. 5. 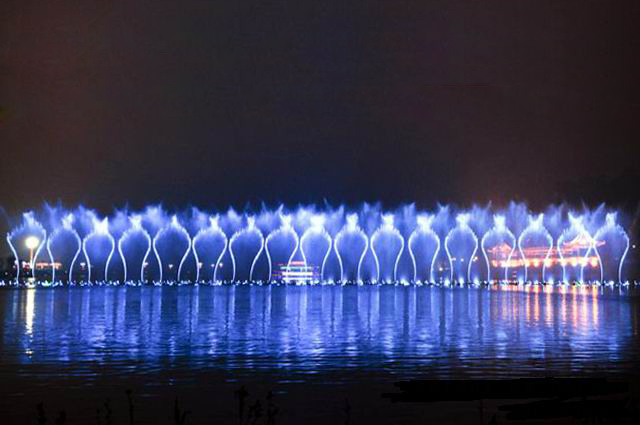 It is a musical performance fountain that combines music with water and lights. 6. Changeable lights, different shape and different nozzle are optional. 7. You can customize water fountains. 1. Flexible delivery time: we have two process factories and one showroom. 2. Longer lifespan of the fountain system based on our ten patented products. 3. Our model programming system makes the water feature more stable. 4. Rich installation experiences for overseas project. We have finished big scale projects in Malaysia, Togo, Congo, Nigeria, Ghana, Kazakhstan and Russia. 5. Two years of warranty for the pump. 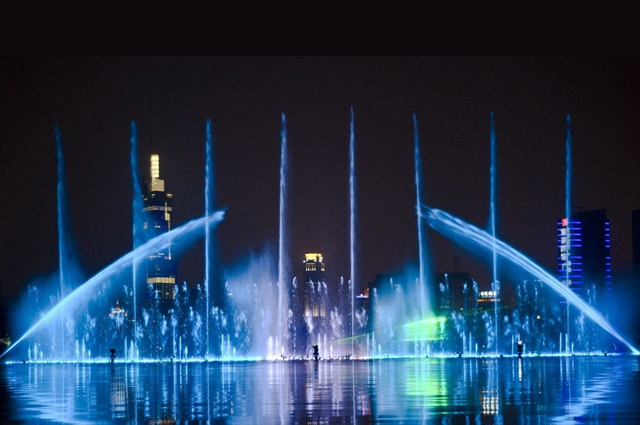 LED light system and other parts for water fountain of music are lifelong warranty. We will also send engineer to your country to check the fountain per year.